40K has a lot of units, and sadly a few of these are just bad. Here’s how we can fix these under-performing units. 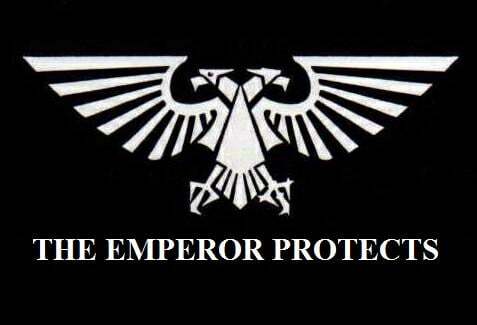 Usually, when we talk about 40K, we tend to focus on what is the best. What units dominate the meta or can help you build a powerful list. While there are a lot of great units in the game, there are also a ton of mediocre and bad ones. While these mid-range units aren’t great or at the top of the meta, they can still often see play. However, below even these units, there exists another layer of units. These are the truly awful units. Many of these units have been bad for several editions, and not even casual of fluff players use them much. However, that doesn’t mean they have to stay bad. Let’s take a look at a few of these horrible units and how they might be made good with a few simple rule changes. 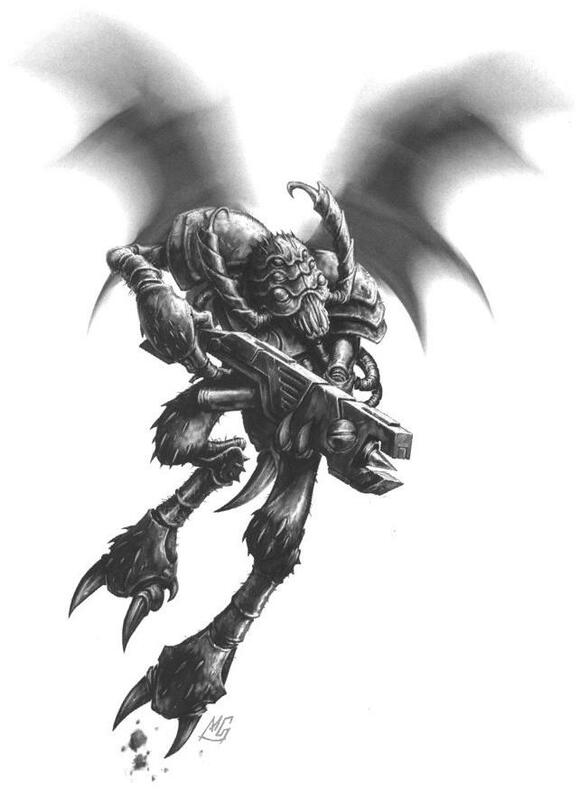 The Basics: A T’au unit made up of flying wasp people. This unit can use deep strike and carries a neutron blaster. They were originally designed as an anti-MEQ unit. Despite being fast, they have widely been considered one of the worst units in the game for several editions. The Problem: Often touted as MEQ killer the unit simply isn’t that good at it. With a BS of 4+ they are missing a lot of time, and with S5 not even all of their hits are converting to wounds. 8th has hurt them even more. Previously their AP 3 at least denied an MEQ its save, now, however, their AP -2 leaves them with a 5+. In return, they aren’t that though and can get mowed down easily. To make matters worse, they don’t have the <sept> keyword meaning they miss out of a lot of T’au bonuses. An expensive unit with a clear role, they are neither though or deadly enough to cut it on the battlefield. 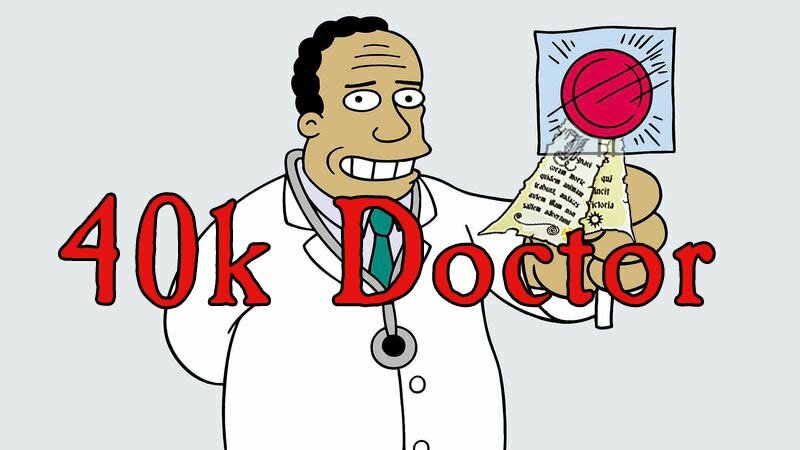 The Fix: Make the Neutron Blaster do three damage. I think this would make the Vespids a very interesting unit with a weapon unlike any other. There are not a lot of mid/low strength high damage weapons in the game, but they are interesting. This would make the Vespids very deadly vs. medium and heavy infantry (their supposed role) as they would be a threat not just to MEQs but also to Terminators, Custodes, Primaris Marines and units like Plague Marines which they are currently pretty useless against. It would also allow them to be some threat to vehicles, though they would have to get lucky with their lower strength, and there would still be better anti-armor units in the Tau army. I think this easy change would both give them a unique role and make them useful. The Basics: A Space Marine Heavy Siege tank. The Vindicator mounts one of the best guns in the game, the Demolisher Cannon, and is meant for close in brutal work. The Problem: The Vindicator has a few issues. While the Demolisher Cannon is a great gun, it’s also the tank’s ONLY gun (an optional Storm Bolter doesn’t count) leaving it a rather under powered tank. Paying 135 points for 1-2 shots a turn isn’t great. It’s also a short ranged tank, that takes penalties to shoot when moving, making it even worse. Cap it off with not getting Chapter Tactics and despite being a siege tank only having average survivability and you’ve got a pretty underwhelming tank. The Fix: To make the Vindicator good again I think you need to buff both its offensive and defensive power. 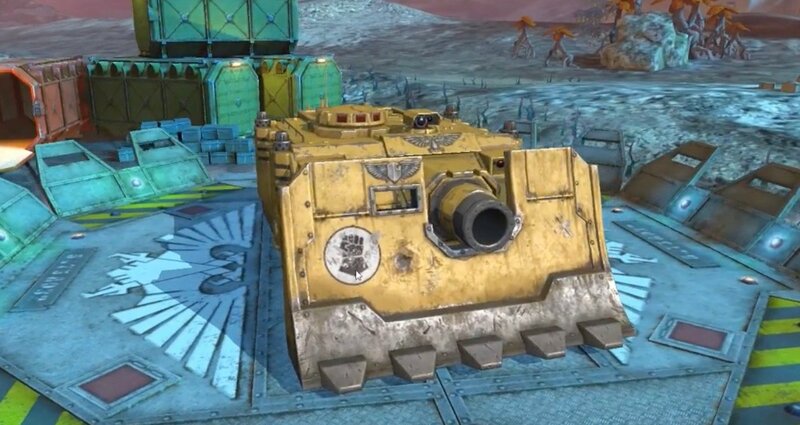 To make it more deadly, I would give it a rule similar to the Lemon Russ (which can also mount a Demolisher Cannon). I would allow the tank to fire twice if it doesn’t move. Its a siege tank, it’s not great while moving, but once in place, it can dish out pain. This makes the Demolisher pretty deadly in a fixed position but not great at maneuvering. I would also give it a 4+ or 5+ invulnerable save vs. shooting, to represent its massive siege shield/dozer blade. 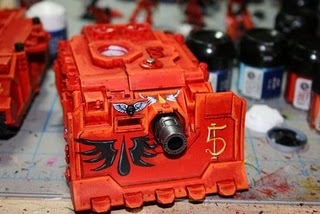 This would make it uniquely tough amongst Space Marine tanks. 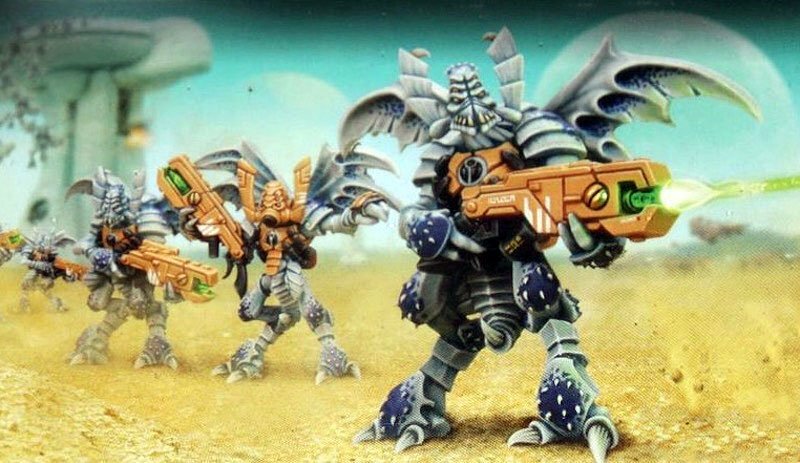 The Basics: The assault version of Eldar Guardians. Storm Guardians carry pistols either a chainsword or Alderi Blade. 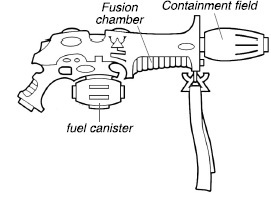 They can also take flamers or fusion guns. The Problem: The Eldar have a total of 4 troop choices, and Storm Guardians are by far the worst. (the issue is even direr when you add in Dark Eldar units). They are supposedly an assault unit, but aren’t any good in assault. They can choose between having a single S3 attack that rerolls to hit or 2 that don’t. Not much to write home about. Other than that they’ve got a meh pistol and can take a couple of decent assault weapons, that doesn’t justify the unit. They come in strange eight-man squads and aren’t even the cheapest choice for troops, making them overall useless. The Fix: Decided what they are supposed to be good at and make them better at it. If they are a close combat unit, then give them an extra attack. While they will still not be crazy good, having three attacks makes them at least viable in taking out light enemy infantry and makes them significantly better than the other troop options. If they are a platform for bringing assault weapons to the battle, then let them take four rather than two. The Eldar don’t get a ton of access to flamers, so a unit with 4 of them would be unique in the army and interesting. Letting them take four fusion guns would make them like a less tanky Fire Dragon unit, giving you the choice of paying more points for a tougher unit or going the cheap route. Let us know what you think of these fixes, and what other units you’d like to see fixed, down in the comments!